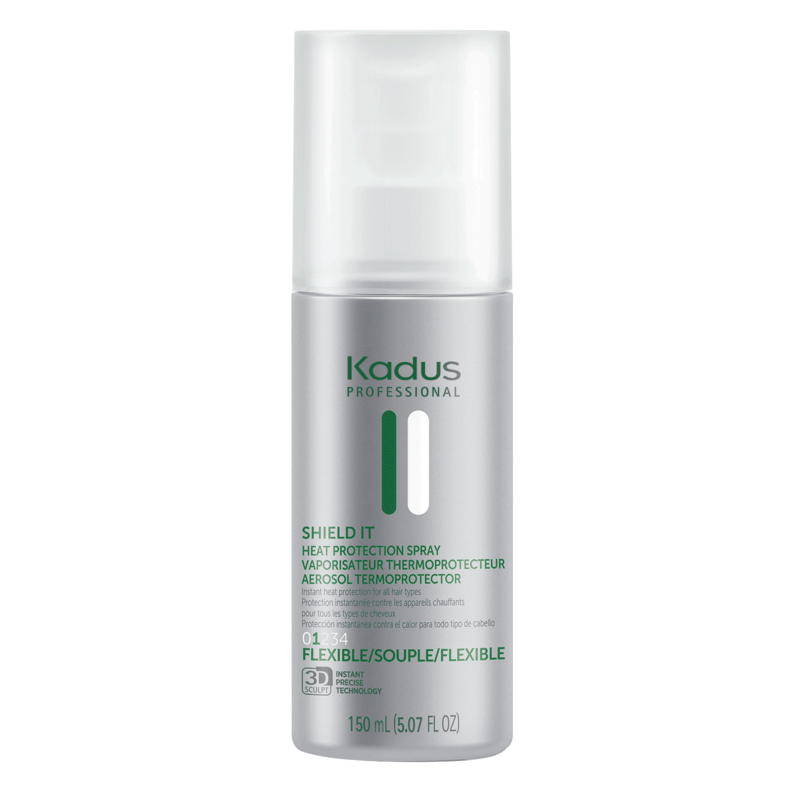 Shake well and spray section by section at arm's length onto damp or dry hair before heat styling. WATER/EAU, ALCOHOL DENAT., VP/VA COPOLYMER, VP/VINYL CAPROLACTAM/DMAPA ACRYLATES COPOLYMER, CHITOSAN, POLYQUATERNIUM-16, FORMIC ACID, LAURETH-4, FRAGRANCE/PARFUM, CETRIMONIUM CHLORIDE, VP/METHACRYLAMIDE/VINYL IMIDAZOLE COPOLYMER. "Each and every client loves this. It also helps with color vibrancy and longevity. Great product!!!!"